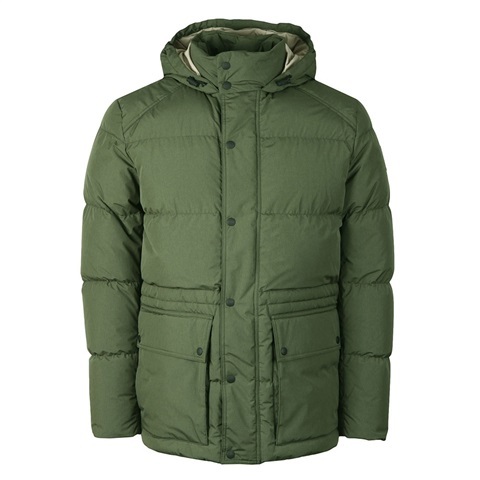 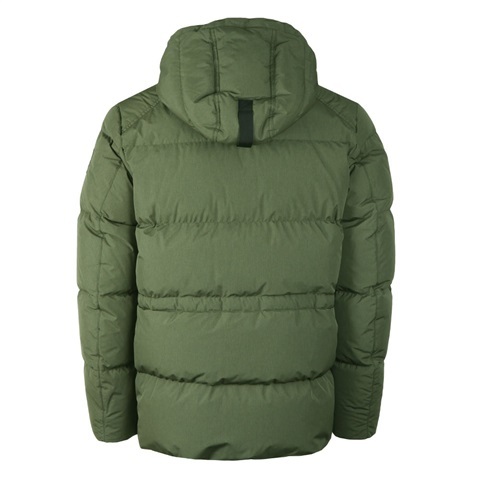 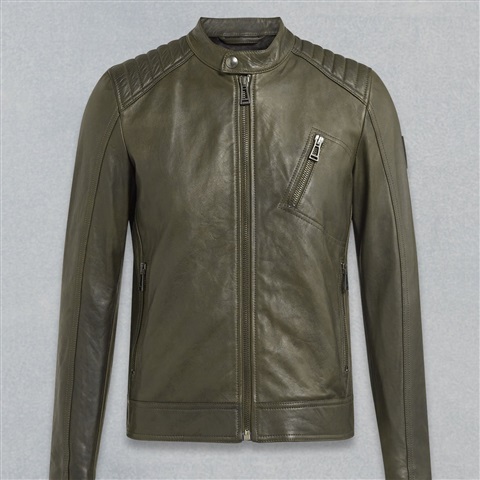 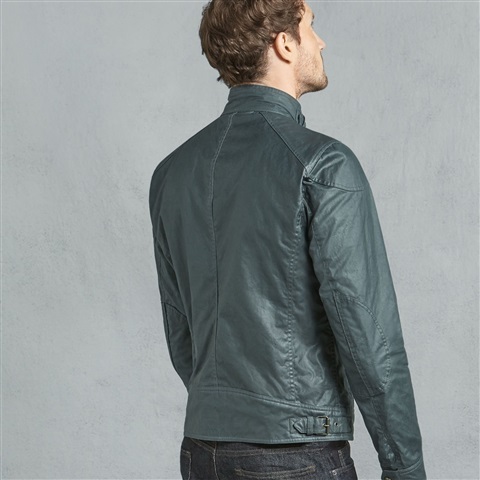 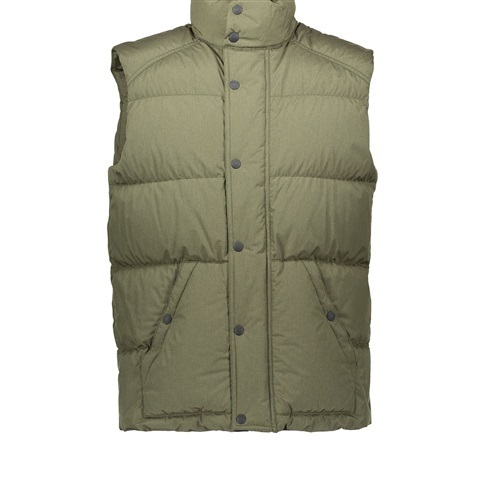 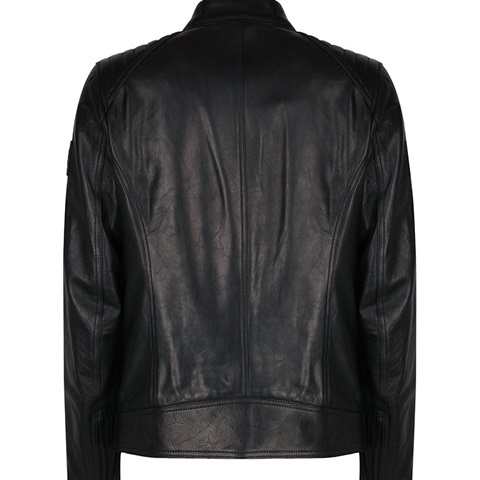 Cut from supple nappa leather in green, the V Racer men's jacket is a simple style with classic details. 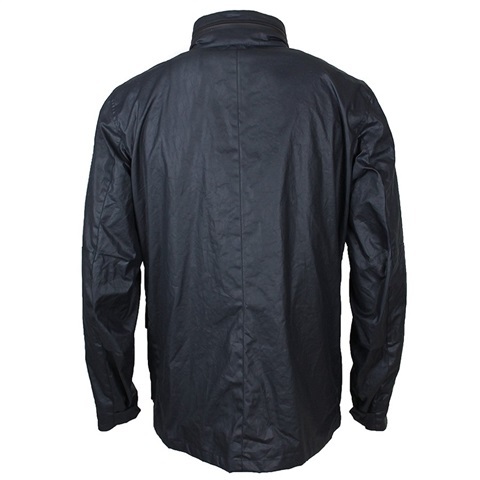 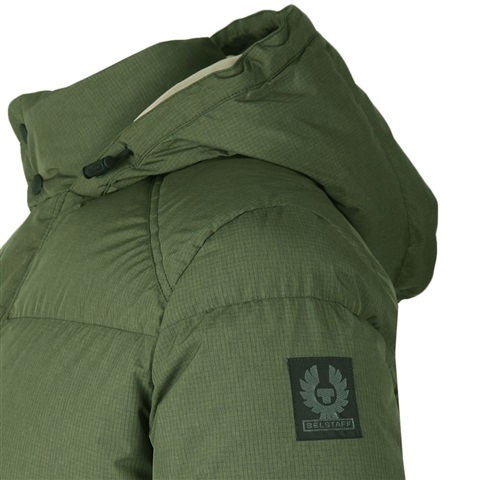 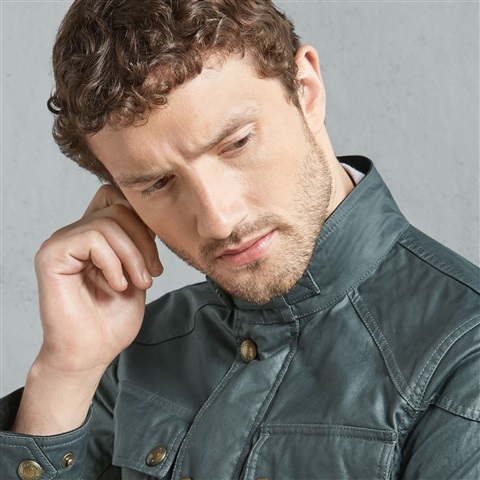 Gentle channel detailing at the shoulders accent the upper part of the jacket, whilst classic long sleeves accompany a staple zip fastening and a trio of zipped pockets. 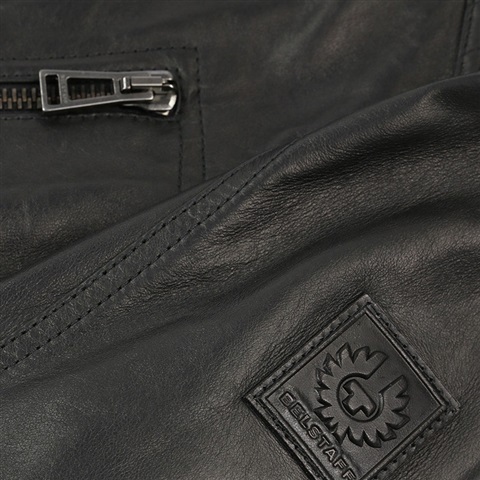 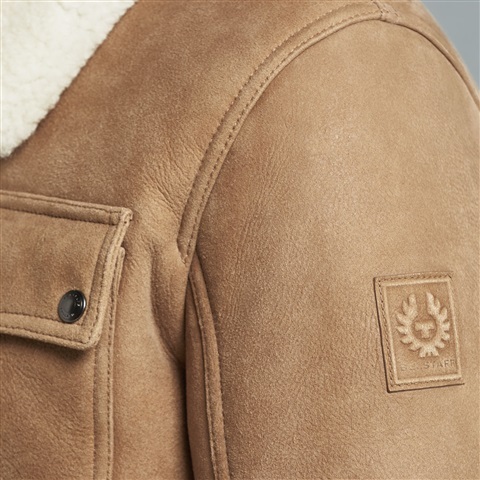 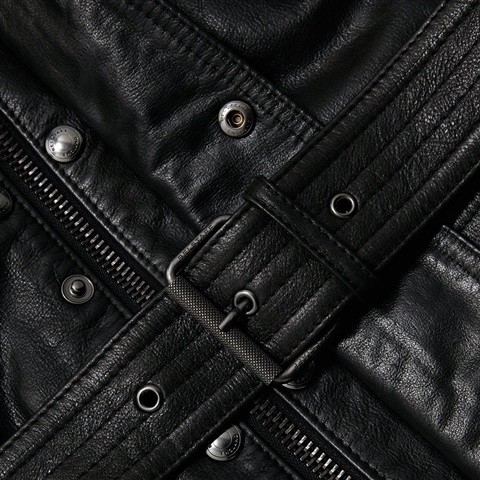 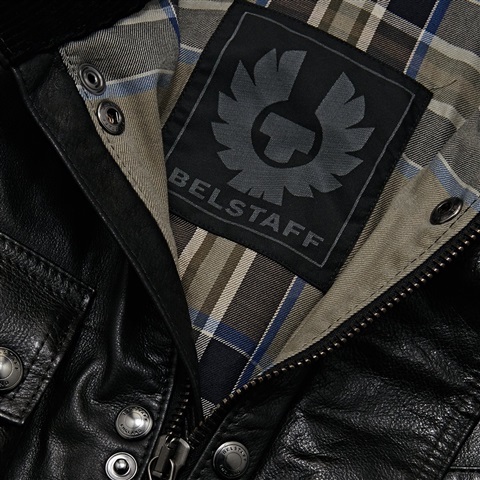 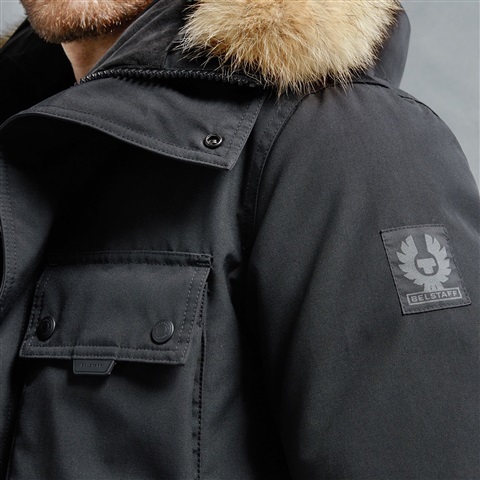 Zipped cuffs and a stand collar with a snap button closure finish the V Racer jacket, alongside a stamped Belstaff logo patch to the left sleeve. 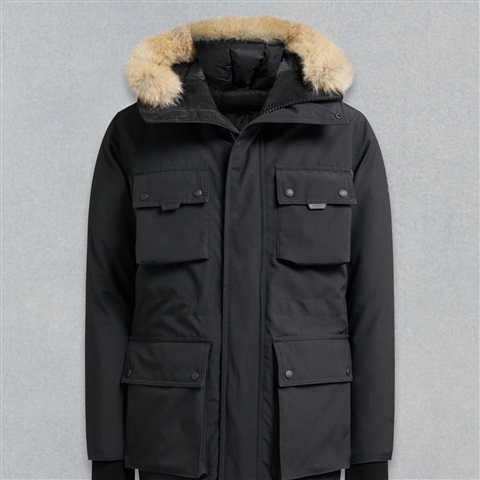 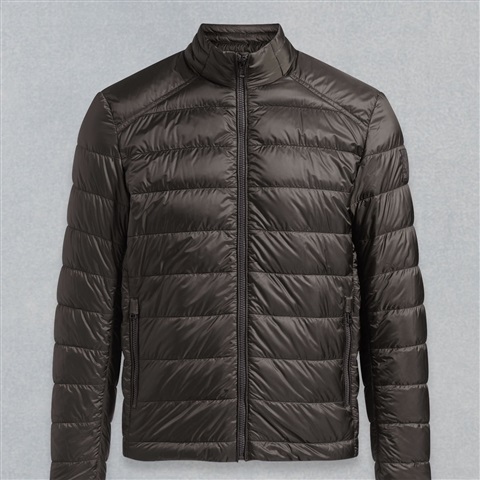 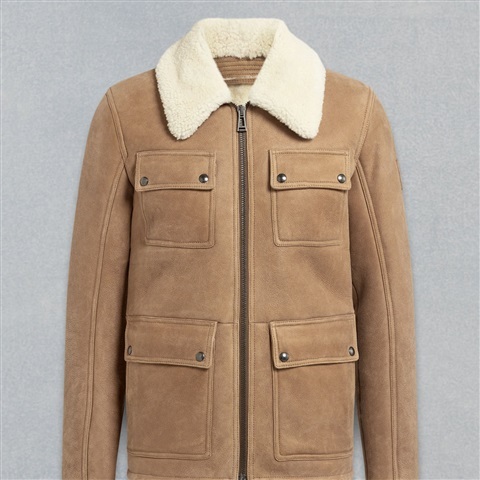 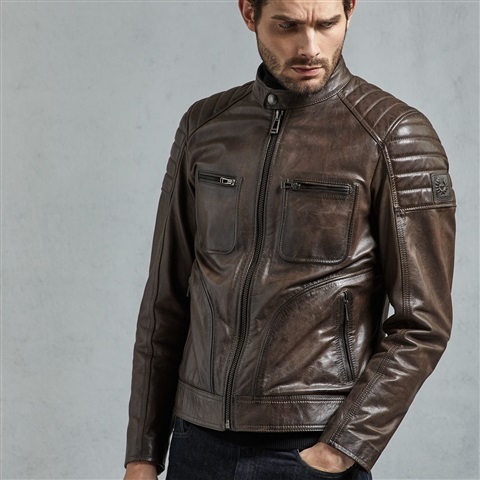 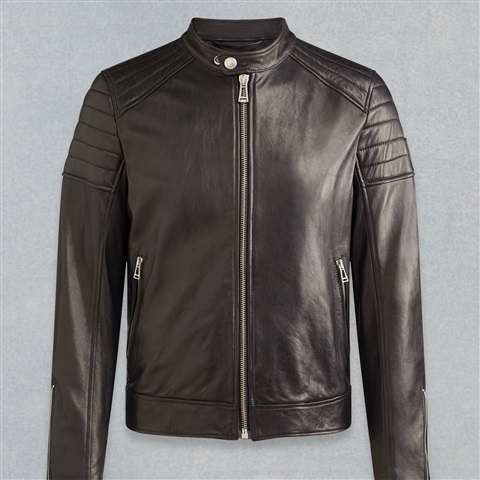 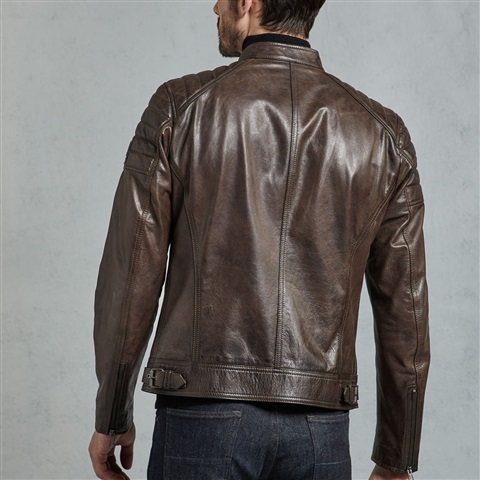 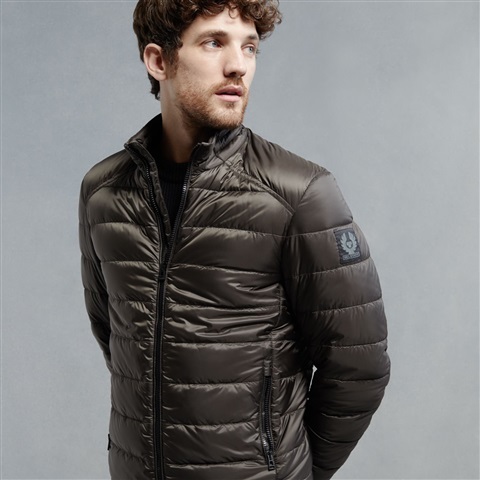 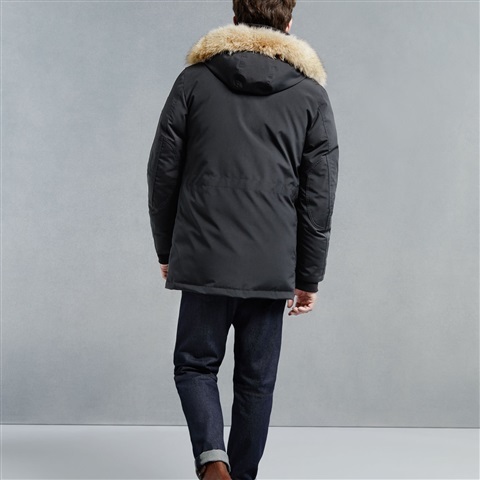 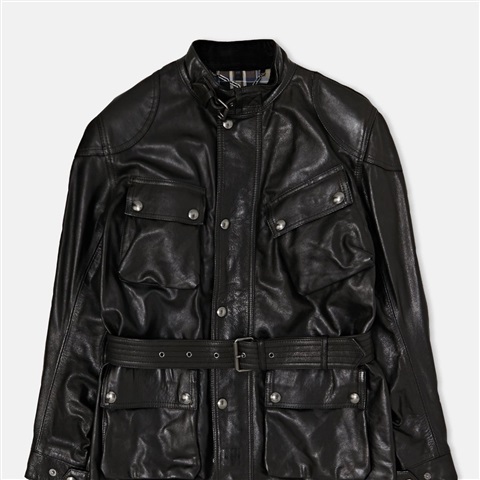 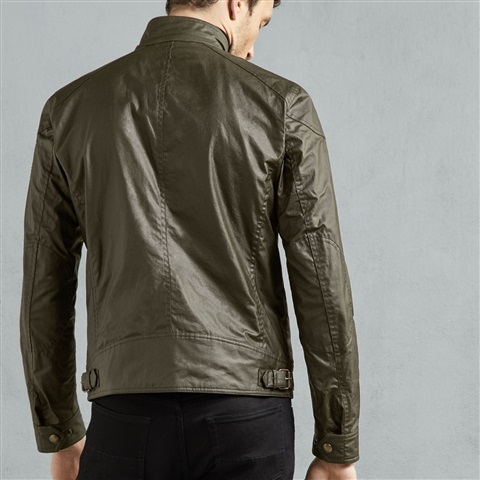 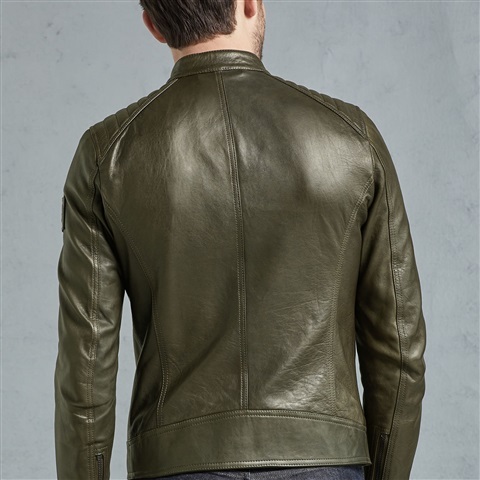 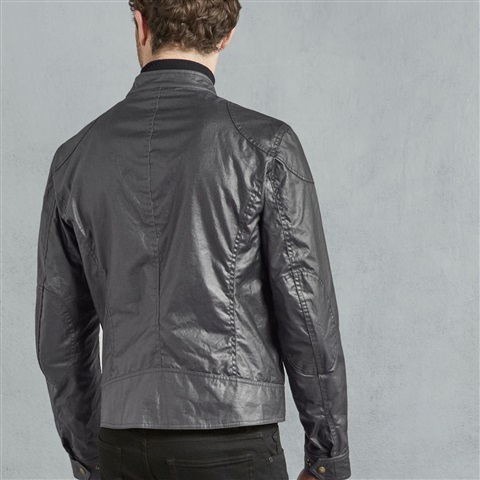 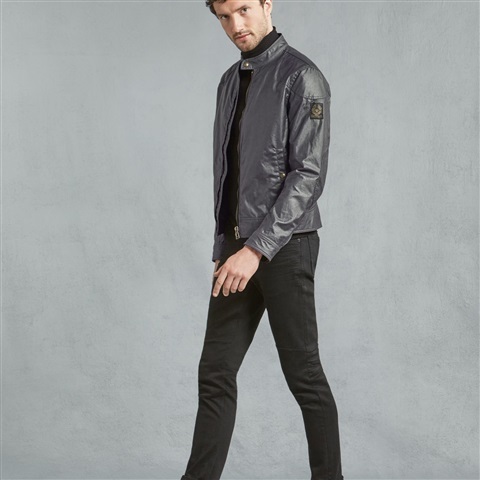 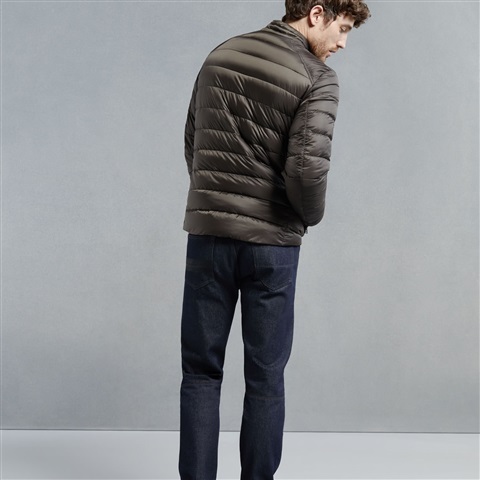 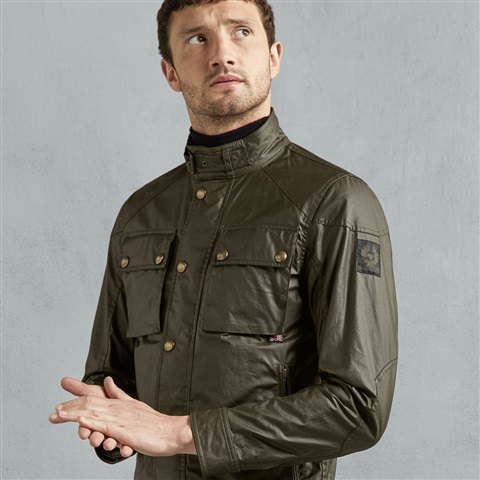 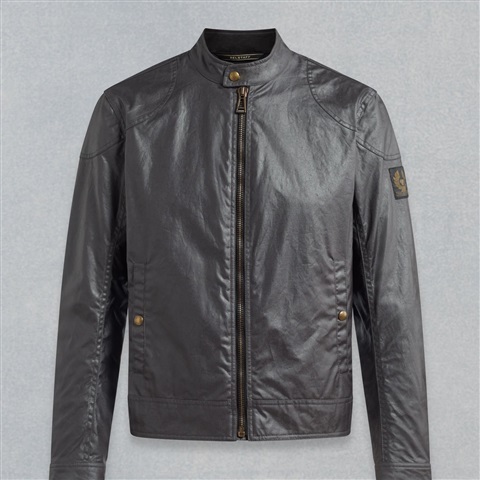 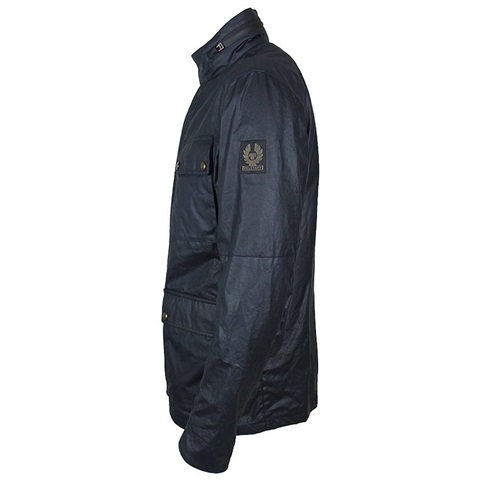 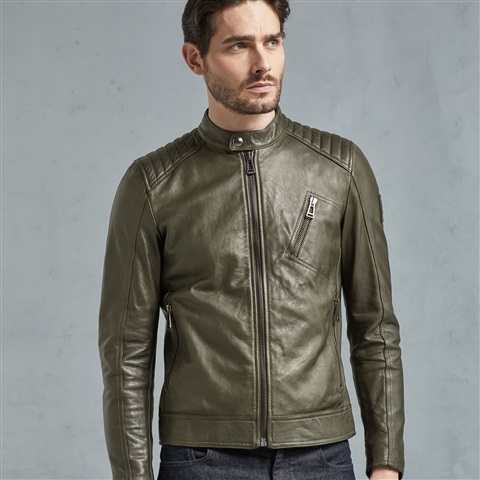 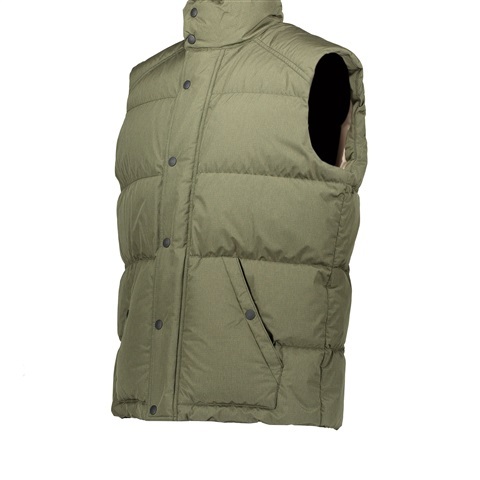 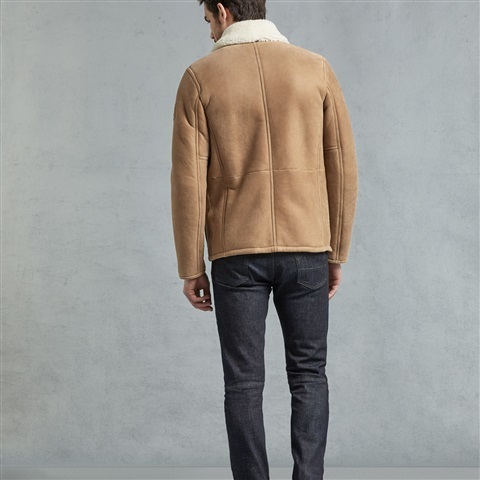 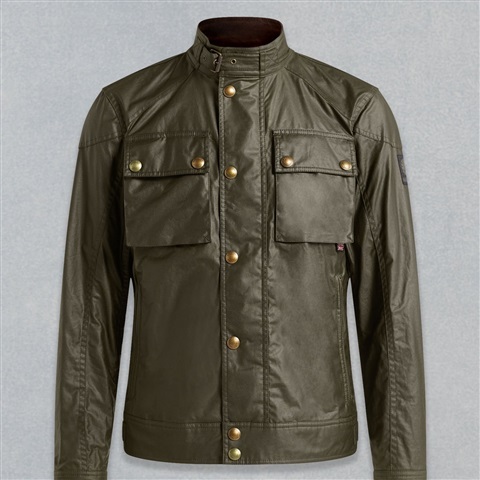 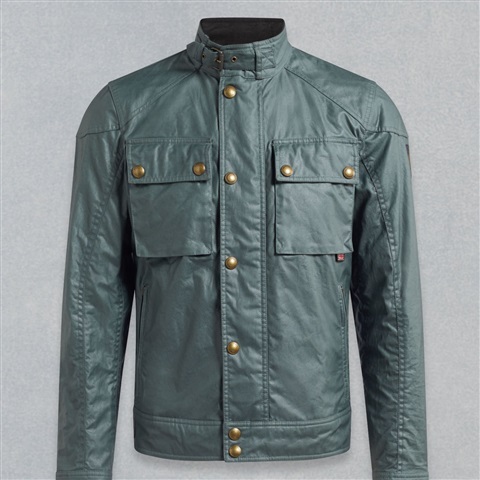 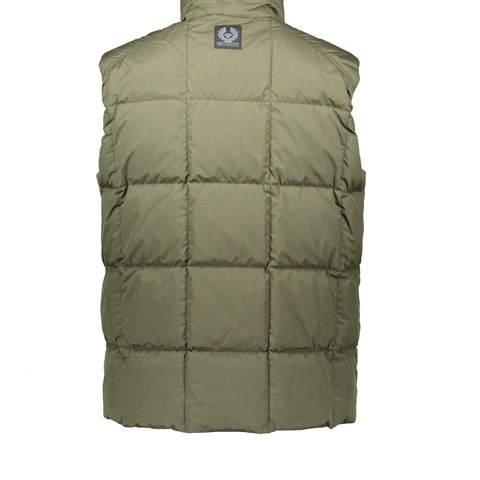 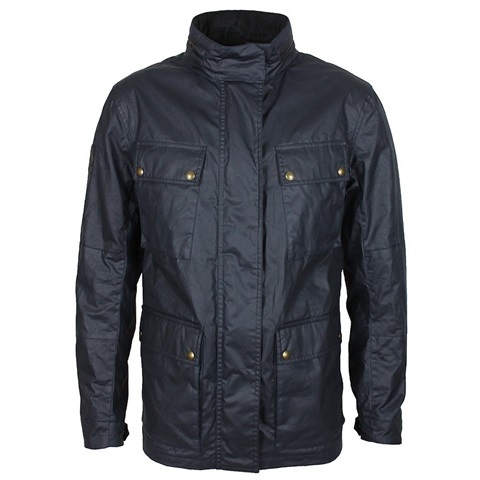 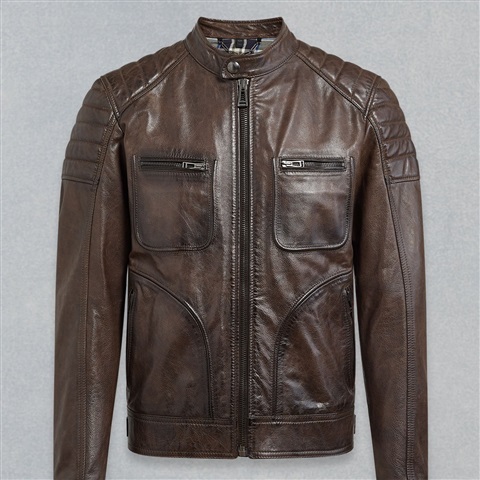 • Tumbled leather • Stand collar with snap button • Long sleeves with zipped cuffs • Zipped front fastening • 3 zipped pockets • Stamped Belstaff logo to left sleeve Style# 71020539L81N0553-RusticMoss sizes stated are uk sizes.